Base firing range of secondary armaments is increased from 5.0 to 7.5 km. Repair Party consumable’s cooldown is decreased: 60 instead of 120 seconds for standard equipment and 40 seconds instead of 80 for premium. Damage Control Party active time and cooldown are also tweaked: active for 30 seconds instead of 20, 180 seconds cooldown instead of 120 for standard equipment. 120 seconds cooldown instead of 80 for premium. Sigma value is decreased from 1.9 to 1.7. 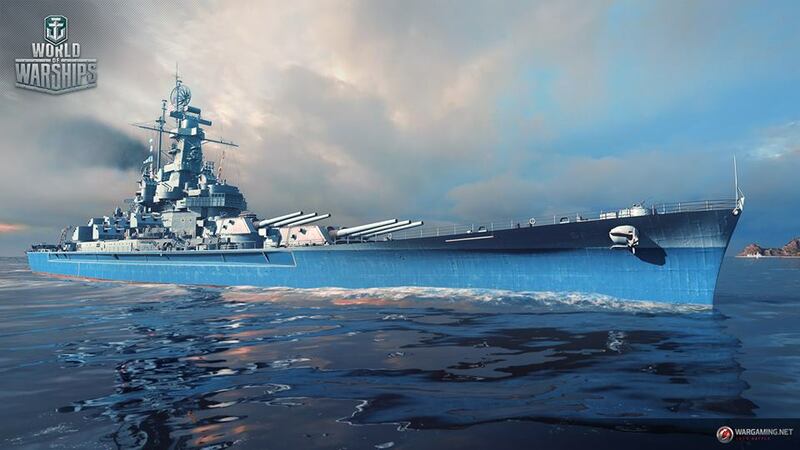 These changes increase the close combat priority for the battleship as well as her overall effectiveness, taking her gameplay further away from Alabama. Hit points increased from 59800 to 71050. Sigma value increased from 1.8 to 2.05. Main battery reload time is decreased from 20 to 18.5 seconds. Surveillance Radar, similar to that of “Dmitri Donskoi” is added to the slot with Spotting Aircraft. Detectability from ships is increased to 16.2 km, detectability when firing from smokescreen increased to 12.78 km. Tweaked stats increase the average lifetime of the ship and her combat effectiveness. She does, however, lose some concealment, which allows for a better performance of cruisers and destroyers against Kronshtadt. Hit points decreased from 84000 to 72450. Sigma value is increased from 2.05 to 2.25. Ricochet angles are now similar to those of heavy USN cruisers, and the dispersion ellipse is increased and is similar to that of battleships. Krupp factor is increased from 2400 to 2700 (penetration is increased). Reload time decreased from 20 seconds to 18.5 seconds. Main battery angles are changed in a way that the cruiser doesn’t have to show her broadside to fire all the main guns anymore. Surveillance Radar, similar to that of the Moskva cruiser is added to the Defensive AA Fire slot. 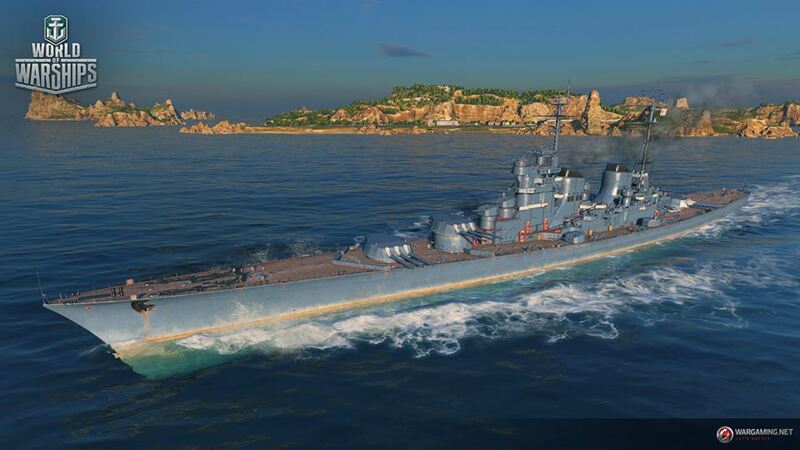 These changes increase the combat effectiveness of Stalingrad against battleships in exchange for some hit points, which decrease her average lifetime somewhat. In combat the lifeboats are not displayed to allow for additional turret movement, yet they are still displayed in port. Base firing range of the main battery is increased from 13.3 to 14.2 km and its reload time is decreased from 7 to 6.5 seconds. Base surface detectability is increased from 13.14 to 13.62 km. Penalty after firing from a smokescreen with main battery is increased from 7.6 to 7.98 km. Hull plating thickness is increased from 25 to 27 mm. This will help the ship withstand most of the 155-mm HE shells and cause 380 mm AP shells to ricochet when the cruiser is angled correctly. Main battery reload time is decreased from 13 to 10 seconds. Guns are replaced – 203mm/55 Mk14 instead of 203mm/50 Mk14. The guns are now historically correct. Shell stats for the new weaponry. HE: muzzle velocity – 823 m/s (up from 792 m/s). AP: muzzle velocity – 853 m/s (up from 792 m/s), maximum damage – 4600 (up from 4500). Other stats remain unchanged. Main battery reload is improved to 8 seconds, down from 9. Total number of planes is decreased from 136 to 116 (instead of initially planned 96). The Type 10 mod.2 flight control now contains 3 fighter squadrons, 3 torpedo bomber squadrons and 2 dive bomber squadrons, opposed to the previous 2-3-3 distribution. The carrier changes make these ships better balanced against each other, no matter the battle length. German destroyer Z-39, tier VII. The rear turret rotation angles from the central position are increased to 143 deg. fro 129 deg. This makes the destroyer’s guns easier to use and increases the DPM while at steep angles. Clan battles won’t be the only way to get her. Any news about availability of Kronstadt? Will she be a reward/FreeXP/campaign ship? Does anybody have any idea how will the Kronstadt be available? Will she be a CW reward/mission/FreeXP ship? if there for sale, then I’m buying them. 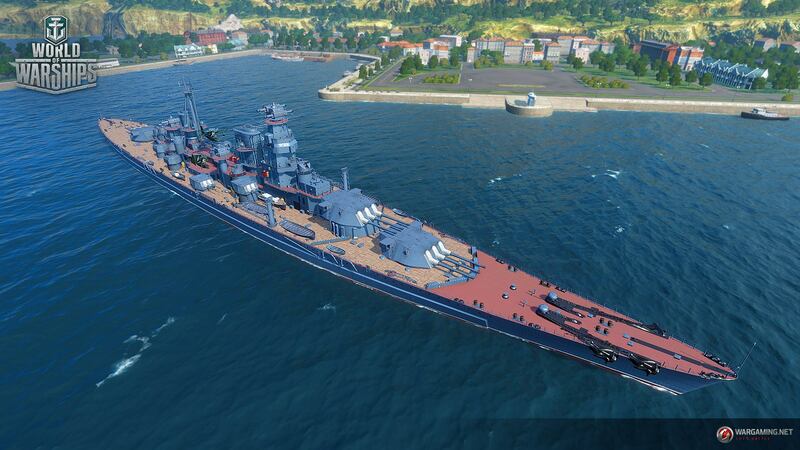 Stalingrad better sigma then Yamato wow, stalinguns= railguns. Rest easy folks, anti-ship missle’s will be coming soon no doubt!